Photography often teaches me a lot. I love to be out and about in nature, photographing whatever I see and find or that finds me. In this case, this beautiful butterfly and I seemed to find each other. 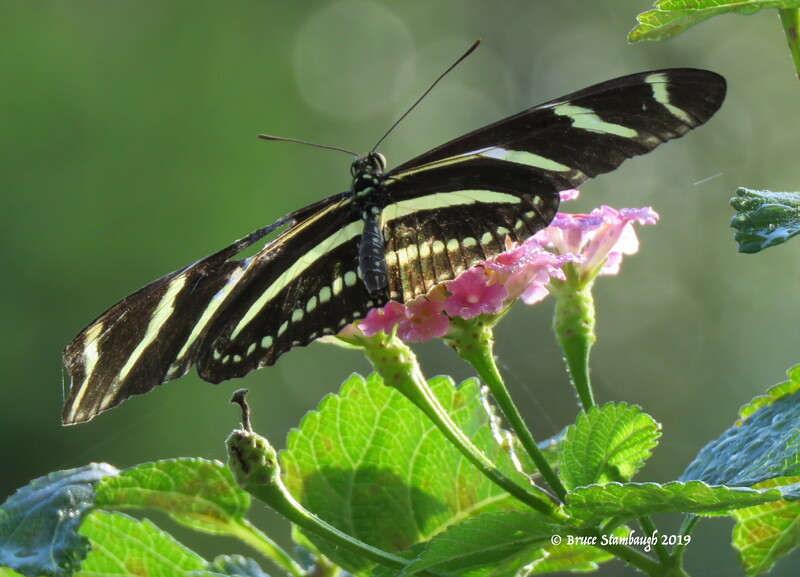 I was looking for alligators when I spotted this Zebra Longwing Butterfly flitting around a clump of flowers growing along a stream on a warm, sunny morning. Many butterflies zig and zag and fly erratically, making them difficult to shoot. However, this lovely creature almost seemed to pose for its picture. It cooperated perfectly. The morning sunshine perfectly backlit both the butterfly and the heads of lantana blossoms it was enjoying. I was able to capture several satisfactory shots of its contrasting colors and exceptionally long, thin wingspan. I couldn’t help but note the hole in the left wing and wondered what had caused the deformity. After downloading the photos on my computer, I discovered that this butterfly had the perfect name. It looked like a zebra, and it had long wings. Also, I learned that the Zebra Longwing Butterfly is Florida’s state butterfly because they are so plentiful in the state. “The Perfect Name” is my Photo of the Week. Lovely image, Bruce, many thanks! You are welcome, Bob. I’m glad you liked it. I am in Northern Ohio and had one of these in our yard a few years ago. The stripes were maybe a little closer together but it was like this one. And I too got a beautiful picture!! Thank you for all your beautiful pictures. I look forward to them!! elaine p.s. I never saw another one!! Thanks for sharing, Elaine. It’s not likely that your butterfly was the same as this one. Zebra Longwings are neotropical and do not venture that far north. Great find, photo and info! Thanks for sharing!